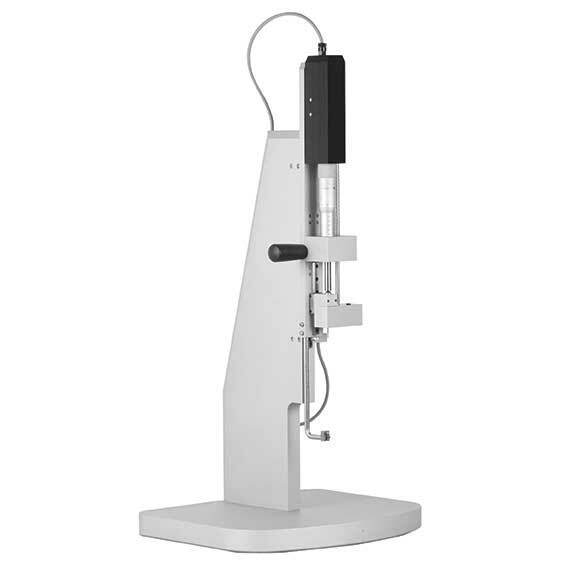 ​This is an easy-to-use tensometer that has the flexibility to measure the tensile properties in conduit arteries such as mouse and rat aortas as well as muscular strips with the use of interchangeable mounting pins for ring-like tissues or clamp mounts for strip-like tissues. Each unit is a single apparatus, containing all the necessary components needed to conduct experiments. The system connects easily and quickly to the USB port of a desktop or laptop computer, making data collection fast and easy. All controls for the tensometer are integrated into the included software package that also acts as the data acquisition, allowing the user to view the real-time plot of the length tension curves. "Contributions of adipose tissue architectural and tensile properties toward defining healthy and unhealthy obesity"
Lackey DE, Burk DH, Ali MR, Mostaedi R, Smith WH, Park J, Scherer PE, Seay SA, McCoin CS, Bonaldo P, Adams SH. "Regeneration of diaphragm with bio-3D cellular patch"